Public Sea Turtle Release 3/28 – The Turtle Hospital. Rescue, Rehab, Release. Join us for a Public Sea Turtle Release Wednesday, March 28th at Sombrero Beach, Marathon! Bring your family and friends! Dusenberry, a 100 pound sub adult loggerhead sea turtle was rescued off of Key Largo in December where he was found floating and unable to dive. Florida Fish and Wildlife officers rescued Dusenberry in the area of Molasses Reef. 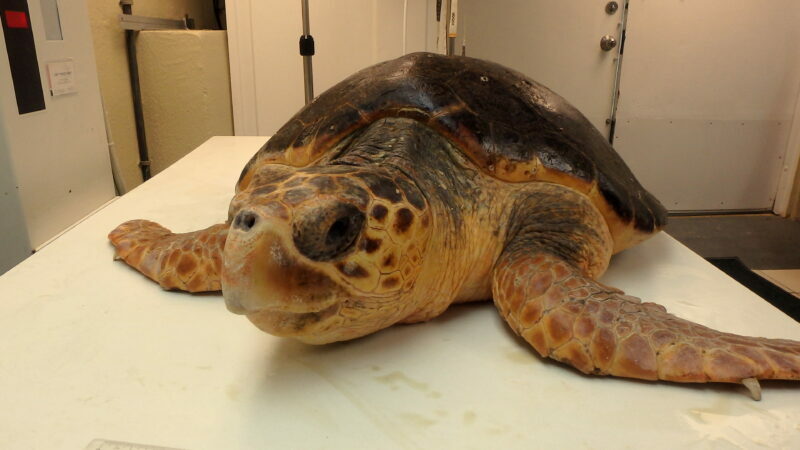 Dusenberry was treated at the Turtle Hospital for an intestinal impaction. Treatment included broad spectrum antibiotics, vitamins, lactulose and a healthy diet of squid and fish. Dusenberry passed his impaction, is healthy and ready to return to the sea! Dusenberry will arrive in the turtle ambulance at 10:40 a.m., with release at 10:50 a.m. See you there!